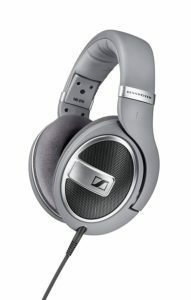 If you are looking for value and excellent performance from a headphone, you may want to consider the Sennheiser HD 579. Boasting the E.A.R (Ergonomic Acoustic Refinement) design and powered by Sennheiser’s patented transducer technology, the Sennheiser HD 579 delivers solid performance at all times. The around-ear headphones provide a natural tonal balance with excellent spatial performance. Read this Sennheiser HD 579 review and learn what you can get from this headphone. 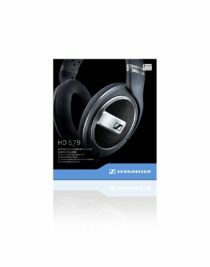 The Sennheiser HD 579 Open Back Headphones are very comfortable to wear thanks to the padded headband and large ear cups that are fitted with luxurious velour ear cushions. The Sennheiser HD 579 is perfect for long listening sessions. The headphone has a stylish cool gray color scheme, so it can complement any outfit. Thanks to the Sennheiser HD 579’s E.A.R. design, it delivers sound directly into your ears. This produces an “in room” like experience that you will certainly enjoy. The Sennheiser HD 579 provides extremely low distortion and high-efficiency dynamics thanks to Sennheiser’s engineered transducers. The transducers use aluminum voice coils to ensure that the headphone delivers excellent performance at all times. The open back design provides a remarkable open spatial presentation to improve your listening sessions. The Sennheiser HD 579 will let you enjoy a natural listening experience. The open back design improves spaciousness in sound to provide you with a precise, realistic sound. The headphone’s design works together with Sennheiser’s unique transducers to provide a rich, detailed soundscape. The stylish grey color and matte metallic detailing offer a sharp and solid appearance. The Sennheiser HD579 has a frequency range of 15-28,500 Hz and impedance of 50 ohms. Its Total Harmonic Distortion is < 0.2%, while its Sound Pressure Level is 106 dB. The low end of the Sennheiser HD579 delivers tight bass with strong impact and minimal distortion. Vocals remain clear even among complex composition. The articulation and contrast levels are also remarkable. The HD579 delivers a bit of compression when it comes to the upper mids. The high end on the headphones has good detail, but it may not deliver every nuance that a song can offer. It has a tendency to smooth out the high ends, which results in a loss of finer details. However, the sound is still well-controlled and does not have screeching or intense flaws. 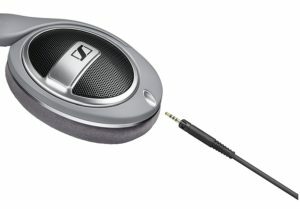 The soundstage on the Sennheiser HD-579 offers extraordinary placement, but the depth is quite lacking. You will hear every instrument taking a sense of space, but the lack of depth can lead to a nearly oppressive listening experience. The HD 579 also comes with a 3-meter (10′) cable that can be removed with ease. It also includes a 3.5-millimeter jack adaptor and a 6.3-millimeter jack as well as a warranty booklet. You don’t need to buy a separate jack and jack adaptor when you need one. Despite the headphones’ plastic construction, it is very solid. The headphones also come with a 2-year warranty when bought from an official Sennheiser dealer. If you are not satisfied with the headphones, you can return it and get a replacement or your money back. 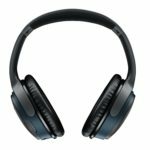 The Sennheiser HD 579 doesn’t have noise canceling or wireless Bluetooth connection. Those who don’t want to deal with wires may find this disappointing. You may also want to skip this headphone if you are hip-hop or rock fan or love high highs and low lows. 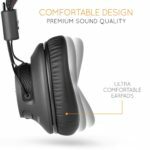 However, you can still expect the headphones to deliver excellent performance. HD 579 is also a good choice if you prefer a more analytical sound. It is a good option for jazz and classical music. Overall, the Sennheiser HD 579 is an impressive pair of headphones for critical listening. The HD579 is powered by Sennheiser’s unique proprietary transducer technology, allowing it to provide excellent performance. 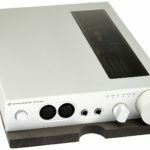 It can deliver near audiophile sound levels. 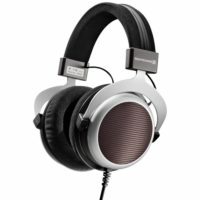 The HD579 has a chic cool gray color scheme. The headband’s thick leather padding and the velour ear cushions on the earcups provide astounding comfort. It also blocks out some background noise even though the headphones have an open back design. The ear pads can be replaced, so you don’t need to worry when the time comes to replace it. 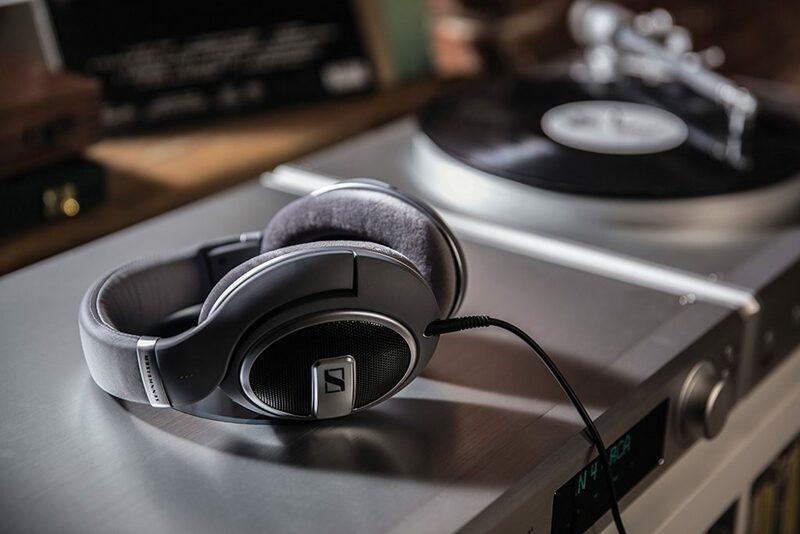 If you need a headphone that delivers a solid performance and comfort throughout your listening session, you should definitely consider the Sennheiser HD579. With the amazing sound, stylish looks and comfortable design of this headphone, the HD 579 will be an excellent addition to any home entertainment system.